Boilers are an essential part to the normal functioning of our homes. They provide us with heat and hot water which is necessary to do so many things in day to day life. The problem comes when problems start. It is something of a cliché that boilers always seem to break down in winter. This is actually true simply because we have the heating on more in the winter and therefore the boiler is under more demand. The reality is that boilers can break down at any time of year and it is equally as inconvenient, frustrating and annoying no matter when in the year it happens. The question is what should you do if your boiler has suddenly stopped working? In this posting we will give you tips to get you started on trying to make it work again. It is hard to think of boilers as anything other than a gas appliance but they do have electrical components and obviously use water too. Boilers require an electrical source to operate and start up in the first place (similar to how a car needs a battery as an electrical source before it uses the fuel.) Problems here could include and blown fuse, faulty plug or tripped switch in the main fuseboard. All these are worthy of investigation. In the same way, you should check that the gas supply is on and that a live and working water feed is present. Beyond basic checks like this, we advise you get a professional if you discover a problem or are unsure. Boilers are complicated pieces of equipment and as such have safety features to help with checks and balances in the event that the system may malfunction due to problems with the internals. Most or nearly all modern boilers have a reset button. If your boiler has stopped working then remedying the problem might be as simple as finding this button, pressing it, and see whether things return to normal. Once you have pressed the reset button, have a look at the pilot light on the system. You should be able to find this as a little window where you can see inside the boiler and should see a flame burning. 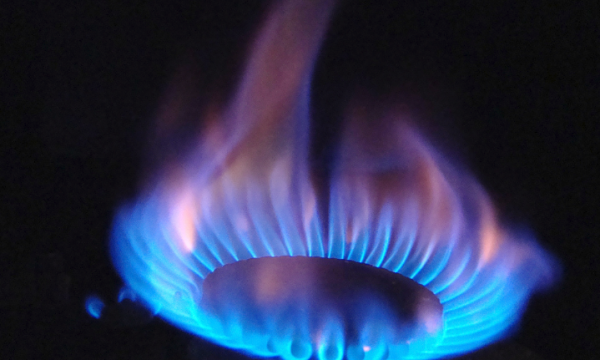 If no flame is present, then this would seem to indicate some problem with the gas supply or firing up equipment. A qualified gas engineer would then need to look at this. Above: An operational pilot light. Boilers need an adequate and tolerated supply of pressure to be able to work normally. Too much pressure is dangerous and can damage the system. 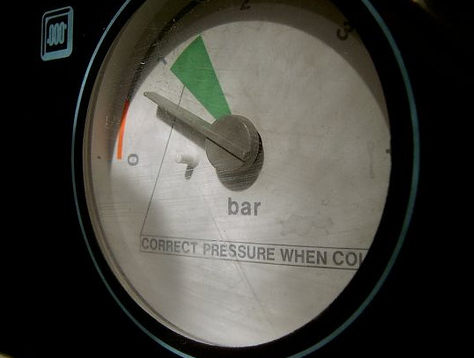 Too little pressure means the system will be ‘flat’ and won’t work. Boilers have a pressure indicator which normally goes from 0 to 4. 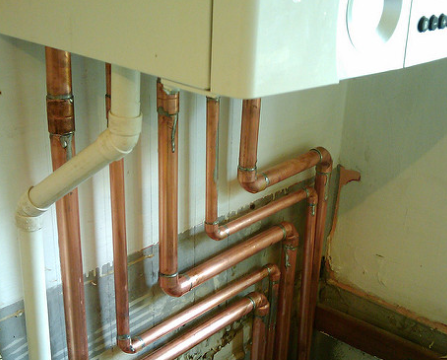 A boiler under normal working conditions should have a value of between 1 and 2 (these are called “bars”) A lack of pressure (which verses too much pressure is the most often cause of stopped working boilers) can be remedied by adding water into the system by means of the inlet valve. Gone are the days of simple wheeled thermostats which would just click on and off at a certain temperature (although of course you can still get these.) Most people have digital thermostats and heating controls these days. 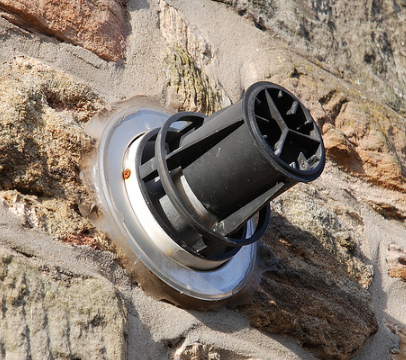 Whilst these are a step forward and lead to more efficient heating the downside is that they can be quite complicated to work. 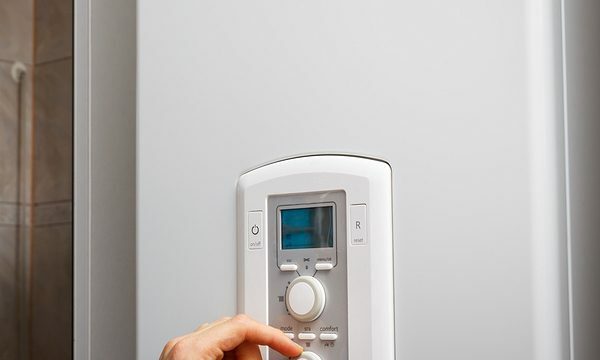 The simple press of one button, programme, or setting can stop the boiler from working with the user wondering what to press to get it back on. Make sure you read the manuals and are familiar with your heating controls. 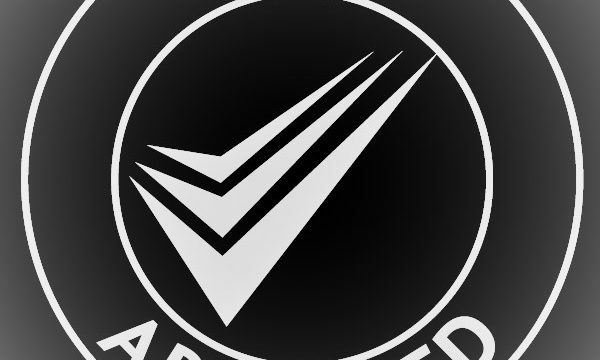 If you have followed these actions and your boiler is still not working, then it is likely to need professional assistance and an expert to fully explore the problem. Do this as quickly as you can to ensure that your boiler can be back working normally again or a new version installed. 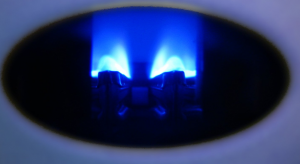 If you need emergency boiler replacement, UK Gas Services can help! Visit our dedicated page to see how we can assist.